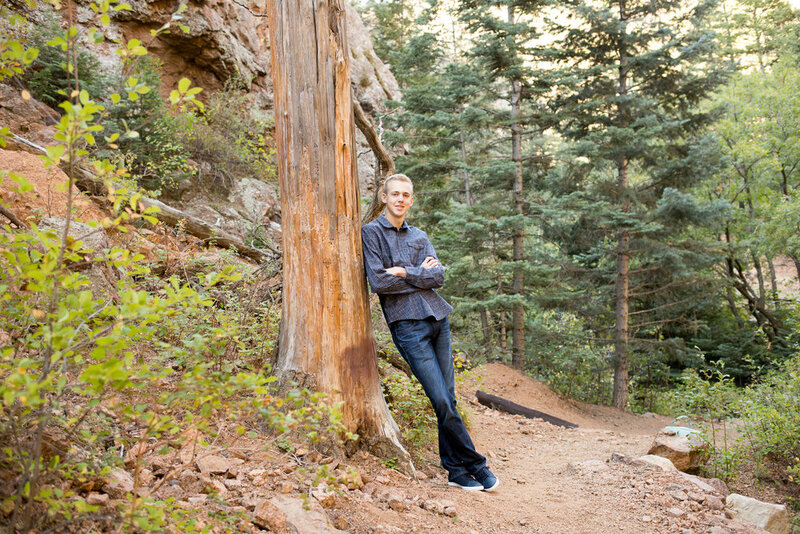 I had the privilege of meeting Jacob and his family in Cheyenne Canyon for his senior photos. We started near Helen Hunt Falls and worked our way up to Gold Camp Road where the road runs through the rocks. We ended at a section of Cheyenne Canyon where we had access to some of the running water from the creek and a stone bridge. Jacob was fun to work with. 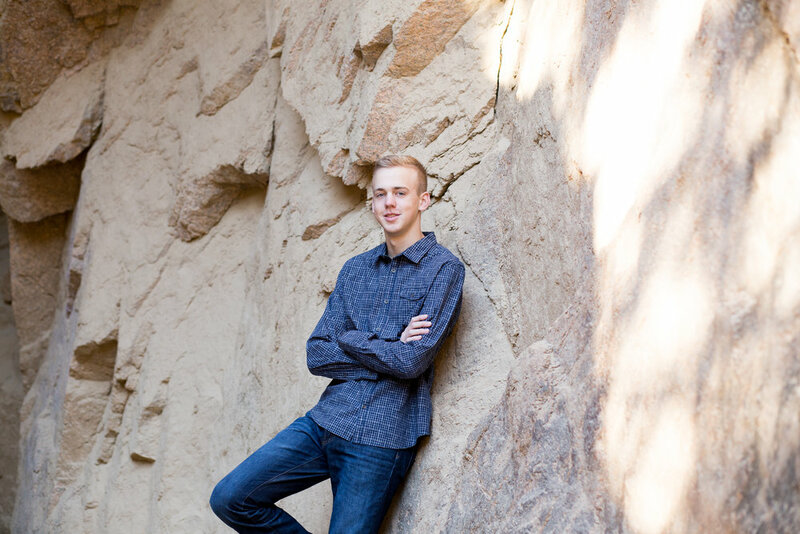 As the session continued on, we chatted more about some of his goals for the future, and is was easy to tell that he was adventurous - which is how I imagine him to continue on in his future. Two things that stuck out to me about Jacob was his passion for playing in band and his career goals. He is planning on joining the military to follow in the footsteps of his dad, a person that he truly admires. 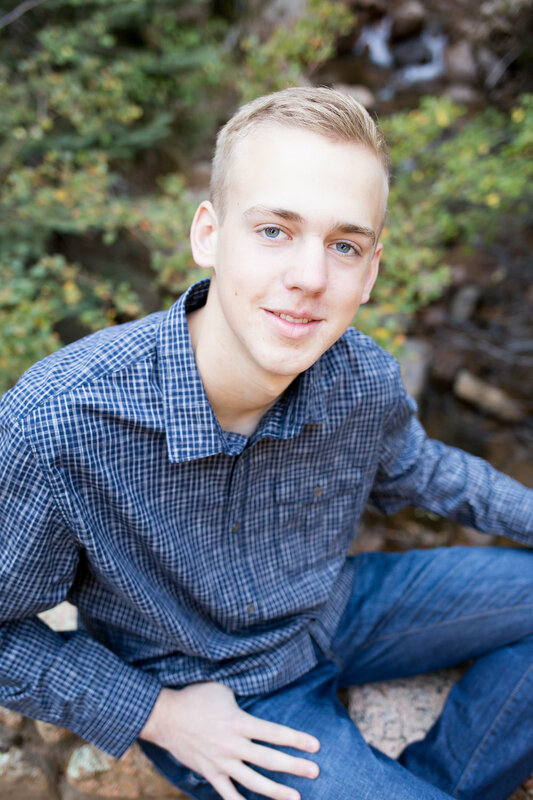 Throughout his senior questionnaire, Jacob mentions the military often and his desire to travel the world. I think these two things together will bring him many great experiences and opportunities to do just that, adventure and explore the world in a variety of ways. In regards to band, one of his favorite memories in high school was going to his first marching band competition and performing. 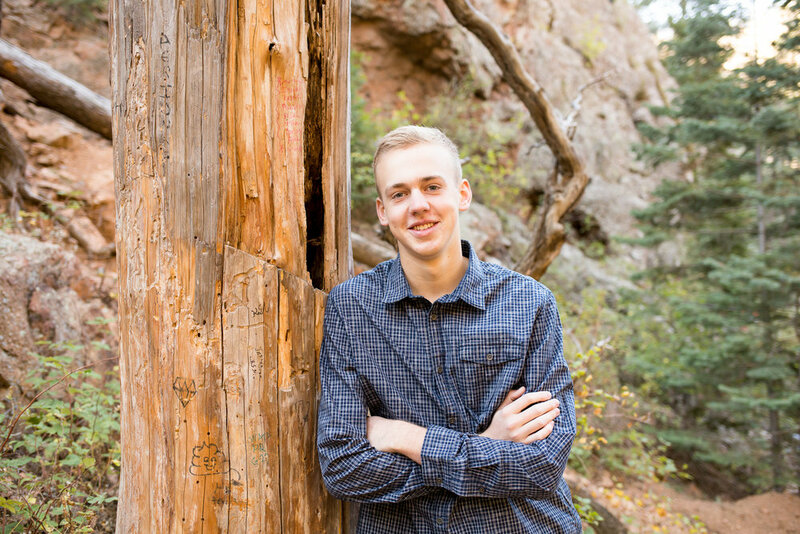 Some of Jacob’s best advise to other students in high school is to be proud of who you are and brush it off if someone is picking on you for being different. This is such good wisdom, for really anyone of any age. He would also tell his peers to turn in their school work, that even though it can be tough at times, they can still do it. 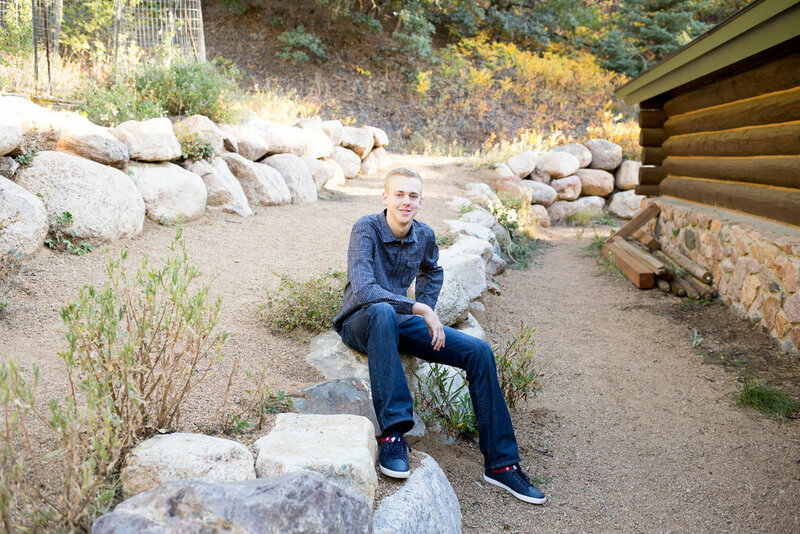 With an attitude like that, I can see how Jacob will be successful in staying true to who he is, move forward with confidence, and knows what work needs to be done to reach his goals. He thanks his family for helping to shape him into the person that he is today. 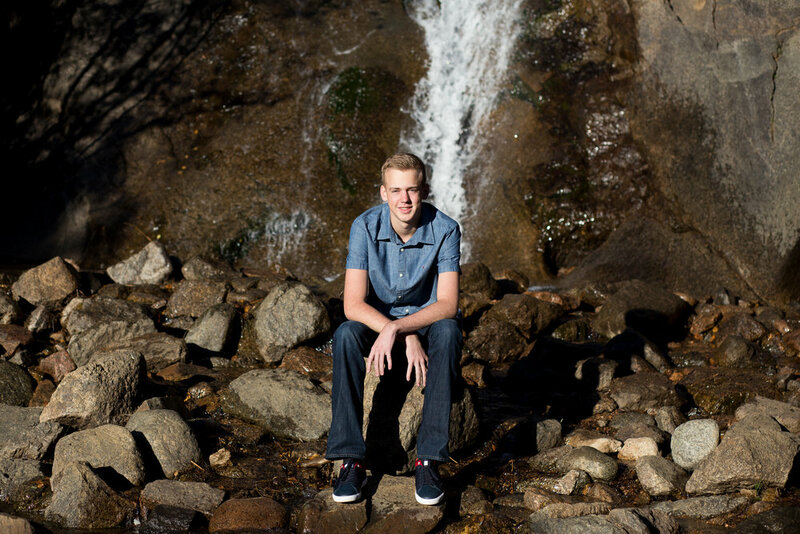 Jacob has such a great spirit and his outlook on life will help him go far. I loved how Jacob climbed and walked around among the trees. 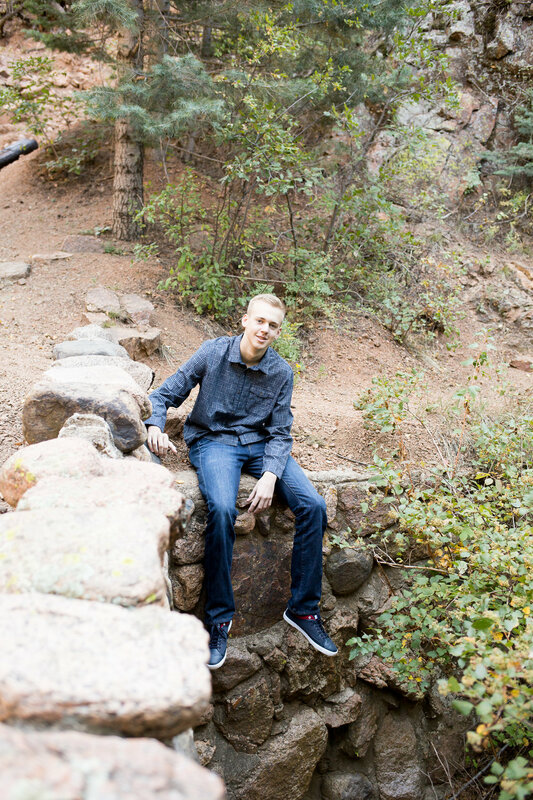 He loved the new perspective of his surroundings, and it was fun to work with a senior who was adventurous and appreciative of the things around him. I can’t wait for him to take hold of all of life’s opportunities ahead of him! It was a pleasure to meet Caitelyn and learn about all of her passions and interests. She is a talented and kind-hearted young lady, who is destined to do great things, as she is pursuing a field of study that she loves.